After graduating in 2001 Paul spent his first years as a physiotherapist working at the Gold Coast Hospital and then abroad in England. From these humble beginnings, Paul’s passion for delivering a quality service in private practice has evolved together with a wide variety of skills to apply to every complaint that comes through the door. With a thirst for new knowledge Paul has spent countless hours learning as much as he can about the art of clinical therapy and has on the side also completed his business masters (MBA). He now pursues study in the field of neuroscience and integrates this with his background in physiotherapy to create a wider viewpoint for client assessments and treatments. Having spent most of his career as a practice owner in Greymouth, New Zealand, John and his family have recently come to Australia for a sea-change. John ran a busy practice for many years, treating all sorts of injuries as could be expected when the only physio in town. Consequently, John has developed skills in all areas. John has a history in martial arts, having practiced to an elite level in his younger year, and also, being a kiwi, has a keen interest in Rugby Union sports and associated injuries. John was involved with Rugby teams for many years in NZ. Lately, John has had a keen interest in researching the shoulder, and he aims to present seminars on the shoulder to other health professionals in 2019. Jo graduated in 2010 with her Batchelor of Health Science Physiotherapy from AUT, Auckland, New Zealand. She then moved to Australia at the start of 2011. Jo’s area of interest is in women’s health physiotherapy. She also has experience in dry needling, pilates, massage and hydrotherapy. Jo is also a mother of two young humans that keep her very busy. Matt completed both Exercise Science and Master of Physiotherapy degrees at Griffith University on the Gold Coast. He uses a diverse range of treatment techniques to help with his clients’ pain. Whether it be massage, dry needling or trigger point therapy, Matt will accurately diagnose your problem and implement the appropriate treatment strategy. He utilises a vast knowledge in calisthenic, Pilates and body weight exercises to strive towards self management, quality of movement and physical freedom. Injuries and conditions Matt enjoys treating are neck sprains, lower back pain, headaches, joint injuries, arthritis, post surgical rehabilitation and chronic pain, just to name a few. Sporting wise Matt has played a lot of rugby union, cricket, swimming, rowing and surfing, and, as a bonus, he also has an extensive list of injuries (neck operation, shoulder reconstruction……the list goes on) and therefore has a first hand experience in what it takes to injure and rehabilitate the body. When Matt is away from work he spends quality time with beautiful wife Paige, and energetic twin boys Quinn and Ardyn. Hi, my name is Alister Cran. I graduated my double degree of physiotherapy/exercise science at Griffith University on the Gold Coast in 2012. Shortly after I moved to Sydney where I was fortunate enough to get a job in a highly respected physiotherapy practice. This physiotherapy practice caters to elite action sports teams around the world. Through this I garnered an enormous amount of experience treating high profile athletes in stressful situations. After my experience in Sydney I moved back to the Gold Coast in 2015 and opened up a small Physiotherapy Practice on Isle of Capri; Physio on Capri. In October 2017 I teamed up with Paul and the Moving With Easy team to Provide our physiotherapy services out of the EMF performance Centre in Robina. With all the facilities at EMF (including altitude rooms!) at our disposal, I am committed to providing the highest quality care I can to my clients. I have always enjoyed an active and healthy lifestyle. This lifestyle has sparked my interest in may sports, namely surfing, skating and surf life-saving. Through years of enjoying recreational sports, I have become particularly keen on learning and understanding the body and how it adapts to external stressors. Being able to empathize with clients and their injuries is a major part of our job and helps steer my treatments toward exercise modification rather avoidance. This ensures that my clients get back to the sports that they love sooner and with a better understanding on how to prevent injury in the future. 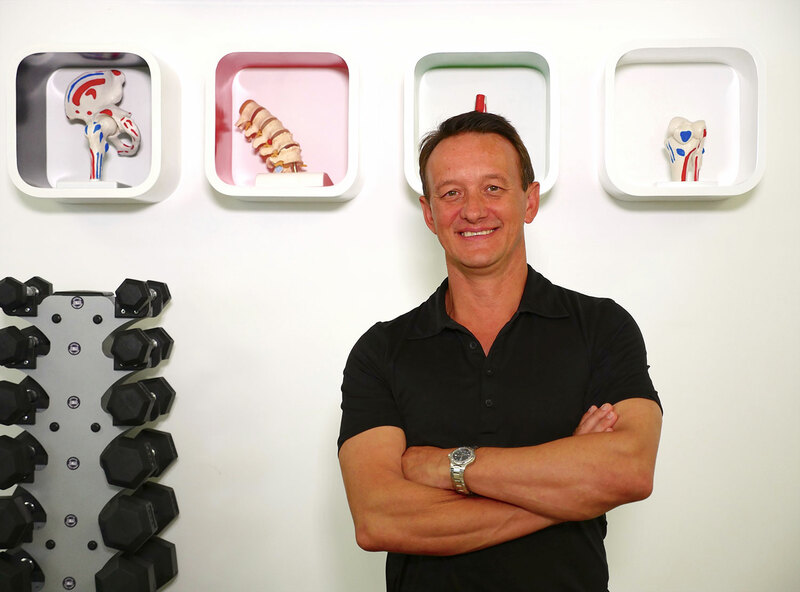 Victor Popov is one of Australia’s leading Sports Physiotherapists. His experience includes working with elite sporting teams (Brisbane Lions AFL, Professional Cycling teams) as well as being an Olympic Team physiotherapist for both Australian and Russian Olympic teams. Victor has helped many elite and recreational athletes prolong their careers, manage injury and improve their performance using innovative and practical therapy and training methods. Victor has been involved as a consultant at the AIS, QAS and other sporting academies in sports such as swimming, cycling, rugby, water-polo, diving and track and field. 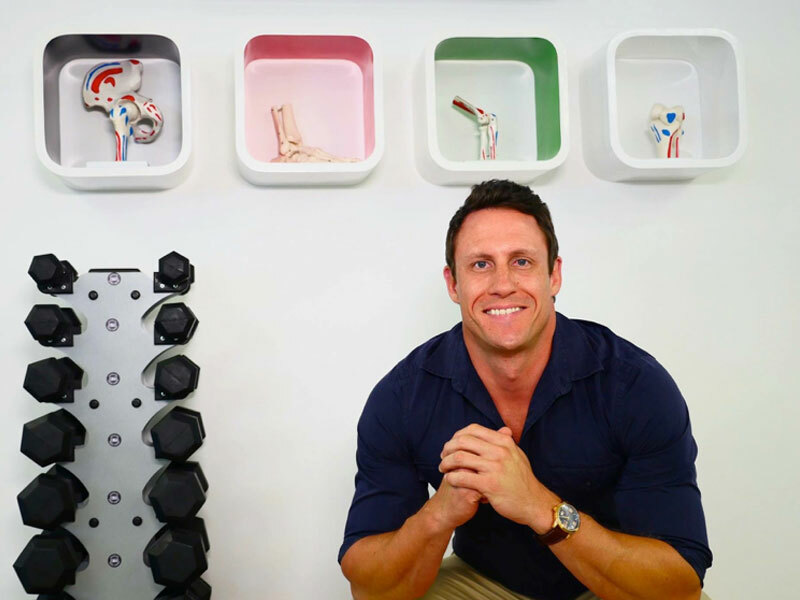 He has a deep understanding of the biomechanics of injury and performance in sport, as well as experience in integrating or modifying training programs to optimise individual performance and minimise injury. He works closely with athletes, coaches ( and parents as required) to help educate and implement treatment and performance strategies, and has an extensive network of other medical and paramedical professionals developed over 30 years who he will refer to as required. Dane is our Exercise Physiologist at MWE. His specialty, as his title suggests, is to offer assessments and action plans for an exercise-based approach to managing health. Much of Danes’ handy work is done in our exercise facility, making use of exercise equipment. His studies have given him the knowledge to deal with complex health issues, such as diabetes, cardiac problems and osteoperosis. Dane takes pride in understanding his clients’ specific needs to then use his ability to offer quality solutions around lifestyle and appropriate exercise choices. He also works at EMF Performance Centre in Robina Town Centre, where he also helps the general public meet their healtha and fitness goals. 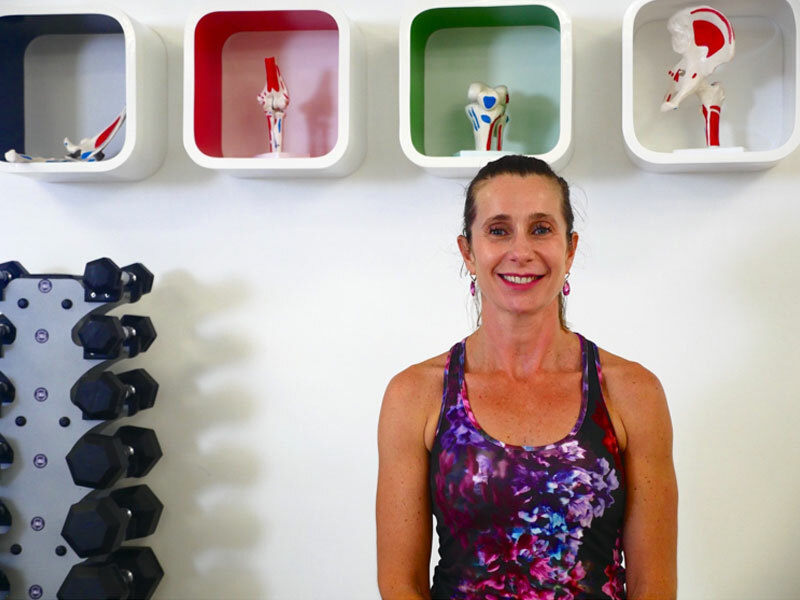 Tammy is our much loved and dedicated Pilates teacher. Her Pilates clients enjoy the benefits of a teacher with both Pilates and Personal training experience spanning over 17 years. Tammy is the classic example of someone doing what she loves. 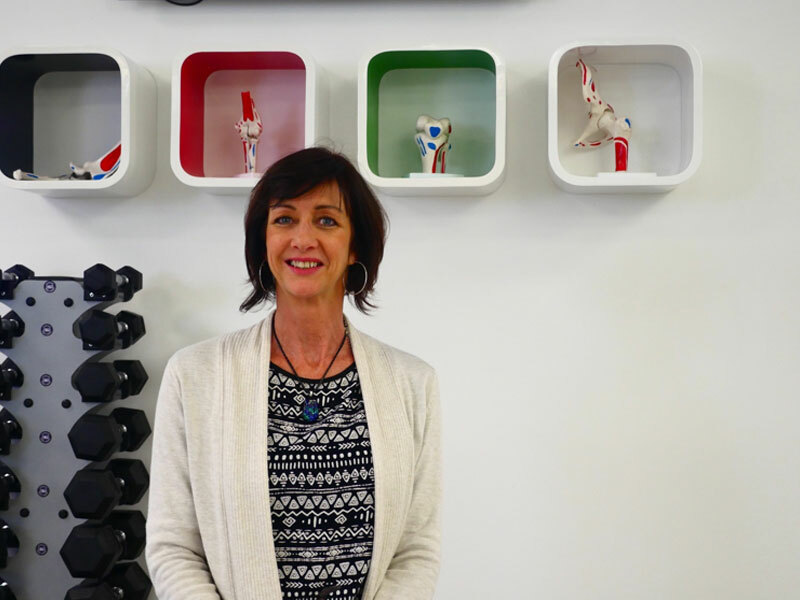 Tammy has a Diploma in Fitness and Nutrition and has done her advanced Pilates training in Mat, Reformer, Cadillac, Chair and Barrel equipment pieces. Tammy is also well experienced in pre and postnatal Pilates. Having worked in Berlin as a professional ballet dancer, Jennifer has since lived on the Gold Coast for 30 years, enjoying a healthy, balanced, holistic lifestyle, integrated with her passion for Latin dancing. With a strong focus on customer service, and an interest in promoting good health and wellness, she feels privileged to be part of a friendly, modern “forward thinking” Practice, where a team of professional highly skilled staff provide best practice, hands on treatments, resulting in positive outcomes for patients of all ages. Jennifer looks forward to seeing you at the reception desk and assisting you on your road to recovery and better health management.